Are you looking for Driving Insurance ? If so Manchester Driver Training Ltd would recommend that you call Adrian Flux Insurance on 0800 081 0446 and quote i 860. If you are happy with the quote that you are given and take out a policy with Adrian Flux, Manchester Driver Training Ltd will provide you with a Free 1 Hour Manual Full Licence Refresher Driving Lesson / or a 1 Hour Manual Motorway Lesson. If you want you can donate the 1 Hour Manual Lesson to a named family member or named friend who wants to undertake a 1 Hour Manual Learner Driver Lesson. If you want to take up this offer and live in an area that we do not provide driving lessons in then we would issue a cash amount of £20 instead for taking out the policy with Adrian Flux Insurance. We reserve the right to pay the amount out by BACS, Cheque or Postal Order. The location for meeting for the lesson would need to be confirmed with the Instructor who we allocate to you, e.g. it wouldn't be possible to arrange a 1 Hour Manual Lesson in the centre of Manchester at 5 p.m. but it may be possible to meet outside of the city centre for a 1 Hour Manual Lesson at 5 p.m. and finish in that same location. We cannot issue a Free 1 Hour Manual Lesson or an amount of £20 until we get confirmation from Adrian Flux Insurance that you have taken out an Insurance Policy which has gone past its cooling off period. (Normally this is around 14 days in duration). This Offer is from Manchester Driver Training Ltd and not Adrian Flux Insurance. To claim the offer you would need to notify us by email at info@manchesterdrivertraining.co.uk that you have taken out an Insurance Policy with Adrian Flux Insurance. You would need to leave your full name and contact number and state what type of lesson that you would want or if you wanted the cash substitute. If you are a first time driver or young driver Adrian Flux will offer to quote you for your vehicle insurance in your first year of driving. This may be a potentially cheap driving insurance quote as the main driver or you may also obtain a competitive quote for second driver on a policy with you as the policy holder. You can opt to use a black box (telematics insurance). "Not all black boxes are the same, most insist on a driving curfew and penalise you for hard braking. At Adrian Flux, we think this is unfair. After all, you might be stomping on the brakes to avoid a major accident. Also we don't want you rushing home in order to meet an unnecessary curfew. Our black box is designed to focus on the speed a car is travelling at during normal driving conditions. A young person taking the unit as part of an Adrian Flux insurance policy can expect drastically reduced premiums." Are you looking for a potentially cheap driving insurance quote for yourself or a member of your family, or a friend to be insured as an extra driver on your car ? If so please call Adrian Flux on 0800 081 0446 and quote reference i 860. If you own a car already and it is time for your insurance renewal please call Adrian Flux on 0800 081 0446 and quote reference i 860. 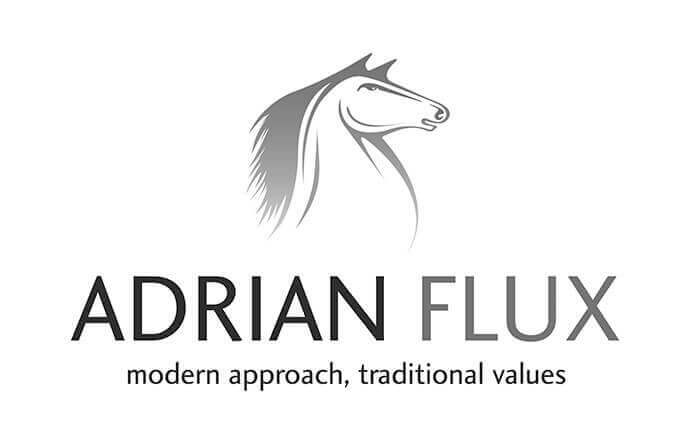 Adrian Flux may be able to offer you a cheaper insurance renewal quote than your current Insurance Company are offering. Are you a Driving Instructor looking for a cheaper driving insurance quote for your business ? Are you a fully qualified Driving Instructor just starting your own business ? Are you looking for a potentially cheap driving Insurance quote as a Driving Instructor ? If so please call Adrian Flux on 0800 081 0446 and quote reference i 860. Adrian Flux also provide driving insurance quotations for PDI’s (Potential Driving Instructors) who are providing driving tuition on the Trainee Licence scheme. Do you own a modified or performance car ? If so Adrian Flux specialise in providing insurance for such vehicles. They would need to know the full list of modifications made to your vehicle when you call for your driving insurance quotation. Please call Adrian Flux on 0800 081 0446 and quote reference i 860 to obtain your modified car driving insurance quote. Adrian Flux can quote for vehicles like Lowered Mitsubishi Evo’s / 300 Bhp Astra Vxr’s / Super Charged Vauxhall Monaro’s / Gas Flowed Audi S3 / or cars such as Ferrari 355 F1 / Audi R8 & R10 / Lamborghini Gallardo / Porsche Turbo / BMW M3 & M5. Do you own a Classic car or Vintage car ? Members of most Classic car owners clubs could also benefit from discounts of up to 15%. Please call Adrian Flux on 0800 081 0446 and quote reference i 860 to obtain your Classic car or Vintage car driving insurance quote. Do you own a Kit car ? If so please contact Adrian Flux for a driving Insurance quote. Please call Adrian Flux on 0800 081 0446 and quote reference i 860 to obtain your Kit car driving insurance quote. Adrian Flux provide a range of driving insurance policies. Each policy is designed to meet the needs of the customers and motor vehicle requirements. Aviva / Allianz Cornhill / Equity Red Star / Highway / Legal and General / Broker Direct. Adrian Flux offer a competitive price for break down cover. Adrian Flux also offer Key Care that helps if you lose your keys. If you are searching for a cheap driving insurance quote or believe that by ringing around you may potentially find a cheap or cheaper driving insurance quote than your current renewal price for insurance then please call Adrian Flux on 0800 081 0446 and quote reference i 860. There are many insurance companies out there but Adrian Flux will try to find a cheap quote based on your full driving insurance requirements. It you use the contact number of 0800 081 0446 and reference number of i 860 because you are trying to find a cheap driving insurance quote or a cheaper driving insurance quote than your current driving insurance renewal price, remember that if you live in an area that we don't provide driving lessons in, we can still send you the substitute offer of £20 for taking a policy out with Adrian Flux, once the policy has gone past the cooling off period. We hope that Adrian Flux are able to offer you a driving insurance quote that you are happy with.